Our members range from sole traders to global organisations. Our members range from solo entrepreneurs, mico-businesses, charities, social enterprises, mid -size firms and global organisations. They come from a broad variety of business sectors. We have experts in finance, construction, artisan food, creative industries and professional services, to name a few. We have a supportive and unified approach and our members are actively encouraged to share ideas, contacts and collaborate. Our monthly networking events are a great way to meet new contacts and expand your customer base. 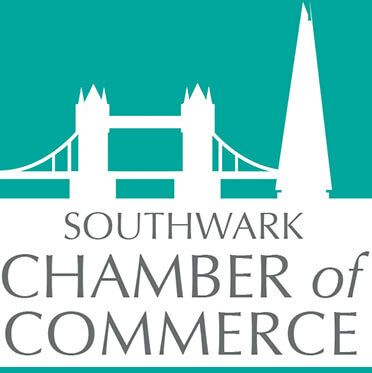 Networking is an excellent opportunity for you and your colleagues to help promote your business and grow clients in Southwark and across London. Engage in discussion on Facebook, Twitterand LinkedIn with other members and grow your network of contacts. You can offer your products or service to other members at a discounted rate. We can list your offer on our website and in Southwark Business Today. If you have specialist skills, knowledge or unique products we’d be happy for you to share what you’ve learnt in running your business and give a short presentation for other members. It’s a great way to showcase what you do, support other members with helpful advice and it builds awareness of your products or services. We are keen to develop events which help promote a specific business sectors in the borough, for example Artisan/speciality food, Tourism, IT and The Arts. We can support you with developing new events and will be happy to discuss your ideas. Once you’ve joined us you have access to the opportunities we provide to help support you and your business. Whether you simply want to attend our networking events, run a seminar or sponsor or run an event, we’d love you to get involved. We like our members to make the most of their membership and get as involved as much as they can.